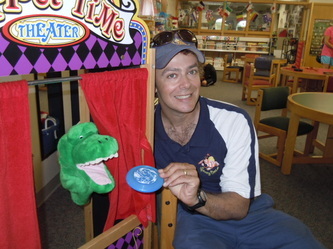 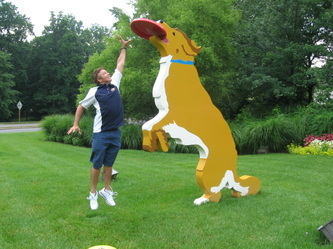 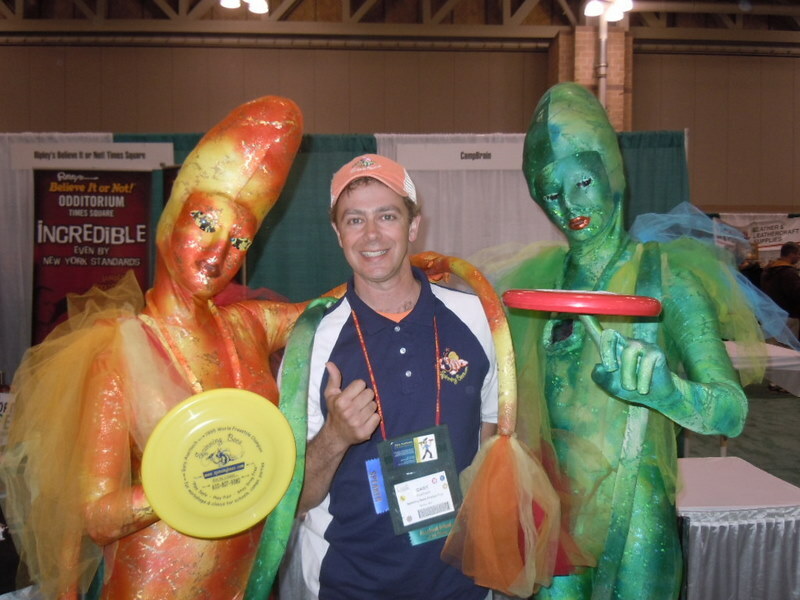 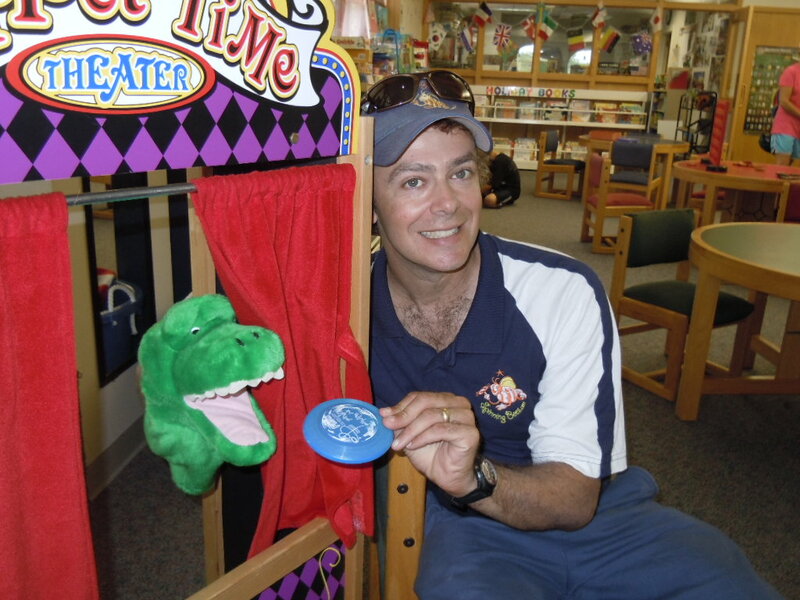 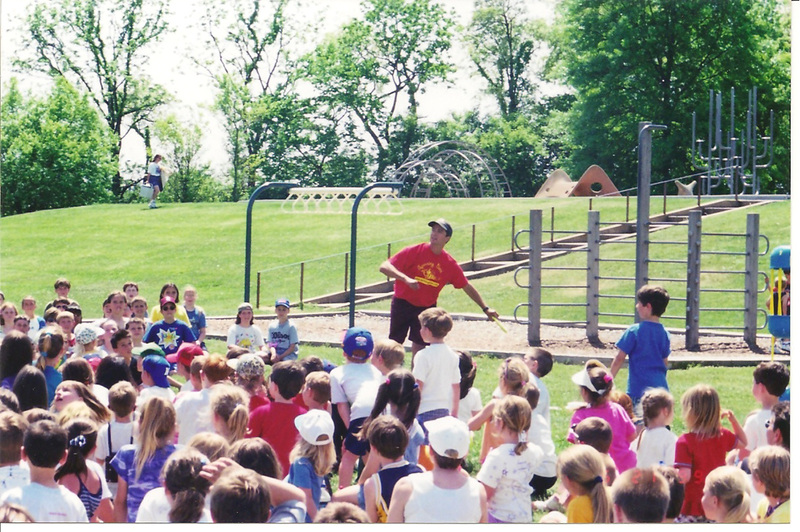 After winning the world freestyle frisbee championships in 1995, I started teaching frisbee skills and telling frisbee stories at schools and summer camps as well as demonstrating my techniques at trade shows, parades, picnics, corporate team building events, sports banquets and more. 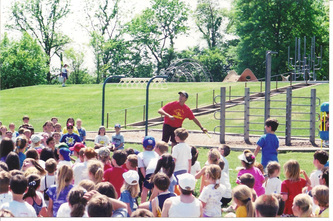 In 19+ years I've probably seen close to half a million kids, parents, coaches! 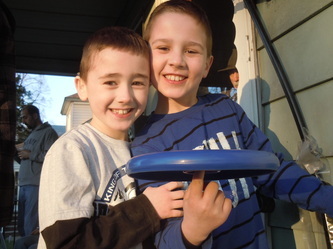 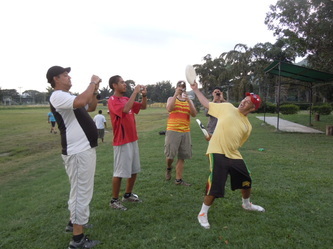 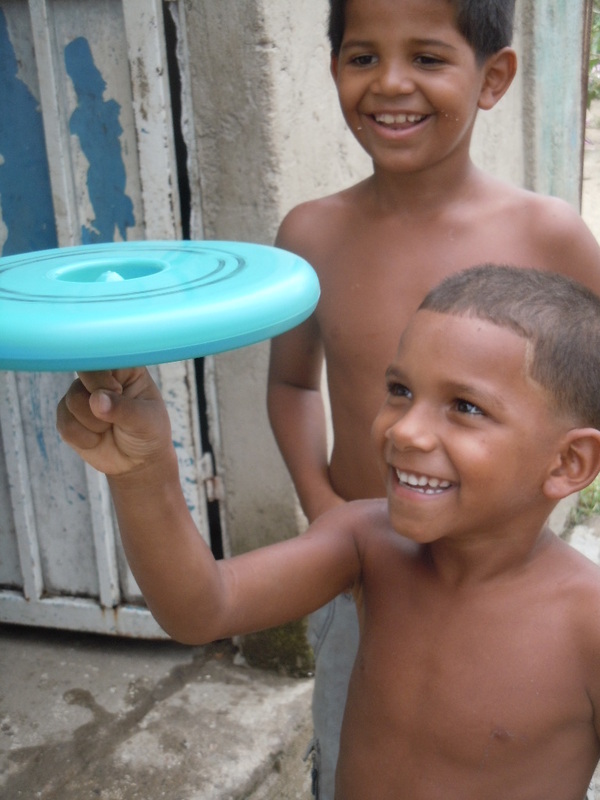 in the form of simple tricks that everyone can do, will make them want to become lifelong frisbee players...like me! 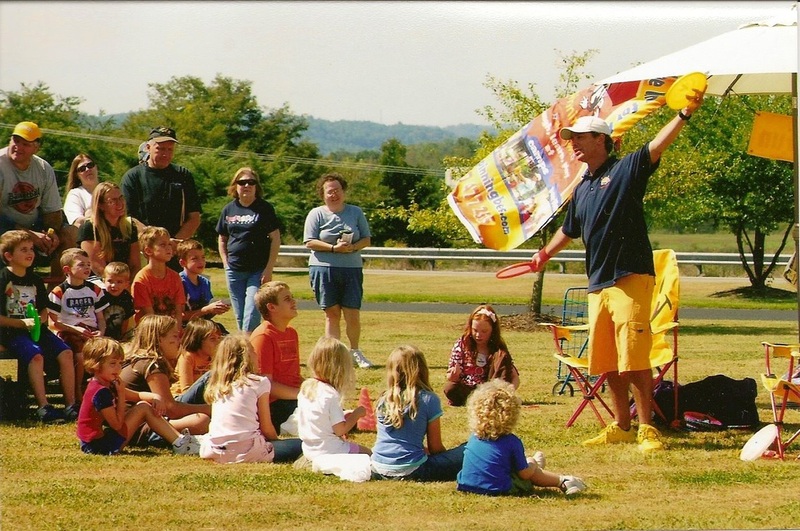 While I've also played at four world club championships in Ultimate and play Disc Golf regularly I know from years of experience that tricks are what really captivates the hearts and minds of kids of all ages. 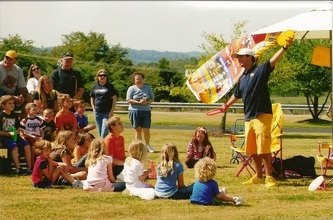 and, to me, that is the single most important part of my shows. also become lifelong frisbee players. 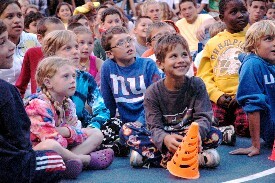 as well as educated and entertained, and always at an age appropriate level.